Have you ever considered having a workout routine that incorporates various types of exercises, such as strength training and cardio and can be accomplished in 30 minutes or less? Well, with circuit training it is possible to achieve this. A full body circuit workout is normally customized to help the individual reach his or her training goals within the shortest time possible. While this form of training has a lot to offer, trying to come up with effective circuit training routines can be quite challenging. Throughout this article, various aspects of a good circuit training routine will be discussed. 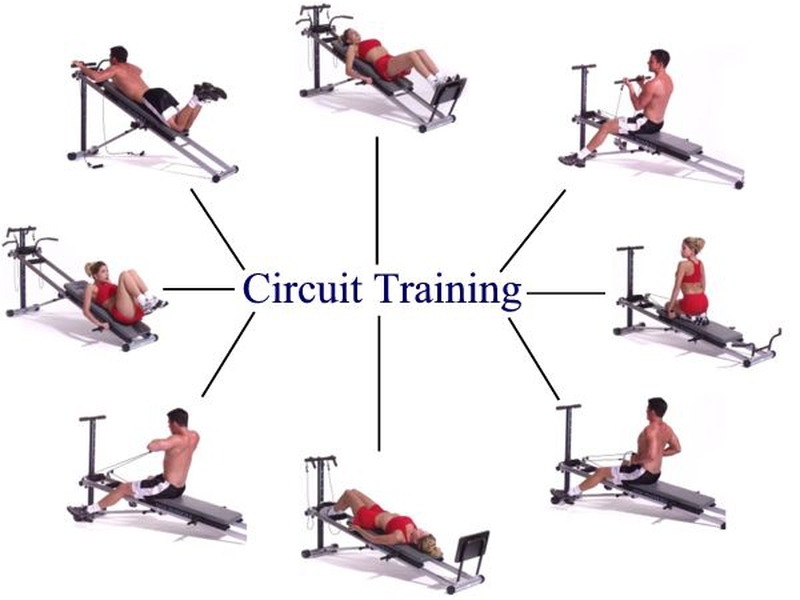 Circuit training is essentially performing different exercises in a series. For instance, you may start with a series of upright rows followed by a set of squats and then curls. Many people today consider weight lifting exercises as an integral part of circuit training. However, you may as well include aerobic and anaerobic exercises into your circuit training routines. Depending on the type of exercises you include in your routines, circuit training workouts are normally carried out with a short or no break in between the various exercises. Whole body workouts may be carried out to keep the body fit. These should be carried out two to four times in a week. They are time efficient and reduce the amount of time you spend in the gym. The dumbbell mix – this comprises of multiple exercises like bicep curls, squats, triceps extensions and the military press in one movement. Each of these exercises should be repeated 10 to 15 times. Bent over rows, which should be repeated 10 to 15 times. All these exercises are meant to work out the muscles on the upper part of the body, the kinetic links as well as the leg muscles. This will, in turn, enhance movement of all body parts. These circuit training routine exercises are ideal for working out the push and pull muscles on the upper part of the body, the legs as well as the torso front and back. Mixing these exercises appropriately will allow you to achieve your workout goals within the shortest time possible and without having to spend a lot of time at the gym. In simple terms, circuit training workouts entail repeating the preset number of ‘stations’ until your time runs out. In this regard, it is important that you know the time you have for the exercises. With this information, you can then determine the number of ‘stations’ you need and the type of exercises to incorporate into the routine. For instance, you should choose the more strenuous exercises, if you have limited time at your disposal. For effective results, you should allocate 10 to 45 minutes of your time to your preferred circuit training routine every day. To reap the best from circuit training routines, you need to use whatever you have at hand effectively. If you are not carrying out the routine at a gym, you need to use your body by incorporating the various exercises for the upper part of the body. You may also choose to work out every part of the upper body independently in a series of exercise repetitions. For instance, you may start with shoulder presses, followed by triceps dips, bent-over rows, standing dumbbell curls and then pushups. To ensure that you work out the lower part of the body as well, you should ensure that your circuit training routine includes exercises that are aimed at working out this part of the body. Some of the lower body exercises you may incorporate into your routine include sumo squats, calf raises, supermans, walking lunges and dead lifts. Based on various research findings, fast sprints are very effective at burning fat in the body, especially in the stomach area. As such, it is advisable that you have a cardio exercise, such as running, rowing, cycling, stair climbing and jumping rope in your circuit training routines. Such exercises should be carried out vigorously for at least a minute. After a series of strenuous exercises, it is advisable to rest for a minute. During the break, you may take a drink or set the music in preparation for the next round. After the break, you may resume your workout routine. Server responsed at: 04/21/2019 10:40 p.m.